WOW, I have a blog!!! But my MR days is not over! 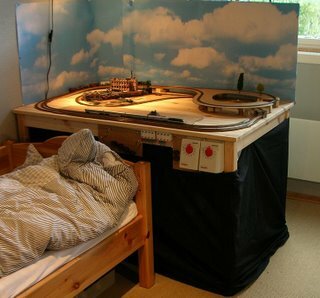 I still have my room filled with the the good Z-scale! So i bought a 3,5 meter long and 20cm deep shelf. 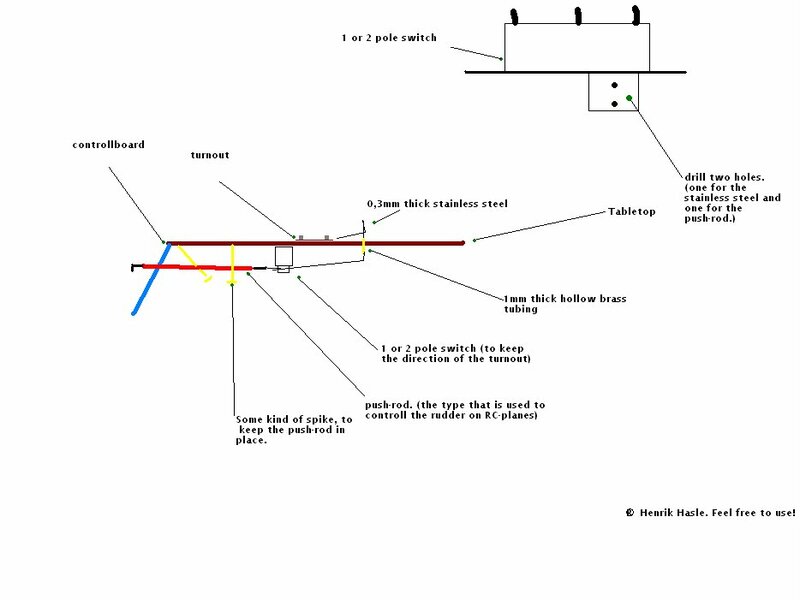 I have no fancy track plan here, just a simple stretch. My main focus is going to be the Montana scenery, hills, plains, farms etc.. So i guess that in a month or so i will post a pic of the finished kit.. Unfortently i am unable to find the same pains as used on the last one, so the colour will be a little off, but i still think it will work..
Today i took a nice trip with Type 24b (http://www.njk.no/kroderbanen/index.php?m=77&s=426&ID=1025) and 7 teak coaches. It was a nice trip with perfect photo conditions. 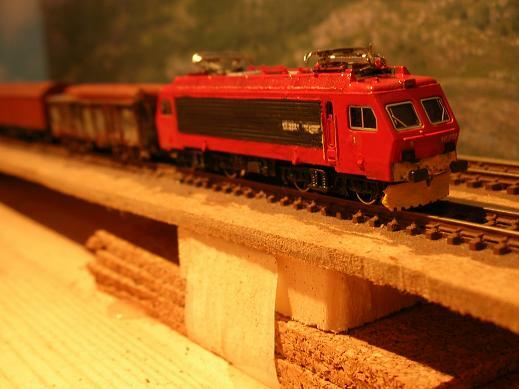 "Steam powered, standard gauge railway between Vikersund and Krøderen. It was opened as a narrow gauge line in 1872 and rebuilt to 1435 mm in 1909. It was abandoned in 1985. 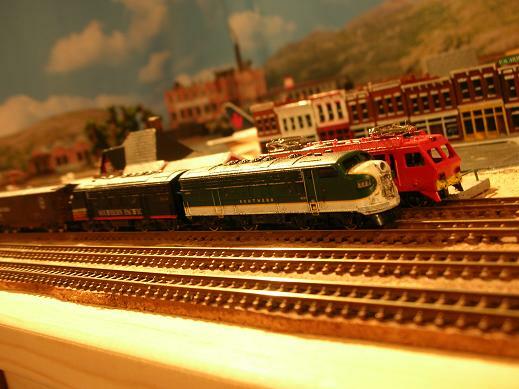 Since then, it has been a museum railway line operated by the Norwegian Railway Club. The travelling distance of 26 km (16 miles) makes it Norway's longest museum. Krøderen station is a superb example of an old Norwegian railway station." For fullscreen pictures, just press the picture! Why am i showing theese pictures om my homesite? 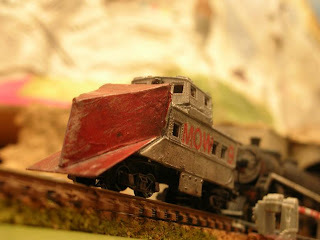 Because i think that this is the world's moust beautiful railroad, so i want to share it with you!! And because this is high on my " must model" list! Temporarly post! will be updated later!!! 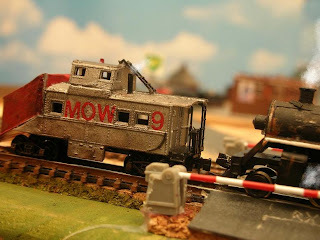 This is Origninally a Micro trains line caboose. I cut away the front. 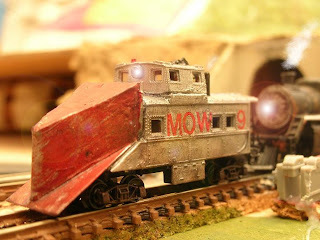 fasioned a snow plow out of a square brass sheat, cardboard and sparcle. I weathered it slightly with pastels/powder. NOTE: I have manipulated the pic`s slighty with photoshop. I have added new trees, and a water tower and some cows. I still need to add more trees. I have experienced with a mirror on theese pictures. As you can see, the site has got a new and better look! For more informaton please post here: http://www.zmod.no/forum/topic.asp?TOPIC_ID=95 or ask in my guest book.!!! A gas station and a bridge. The gas station is kitbashed. 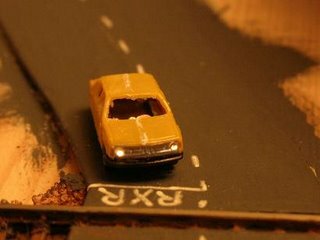 And the bridge is kitbashed. As you see i have also stsrted with the mountains. 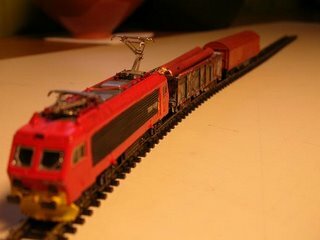 I have always hated the look of Märklin turnouts, so i figured out a way to controll them manually for under the price of 1 electric turnout from M! Unfortently the program i use to add things to this blog, is so poor that i cannot write instructions and place the pictures where i want them to be, so i hope you understand the way to do it with the pictures. If you got any questions, do not hasitate to post a comment.! I got this jewel yesterday!! 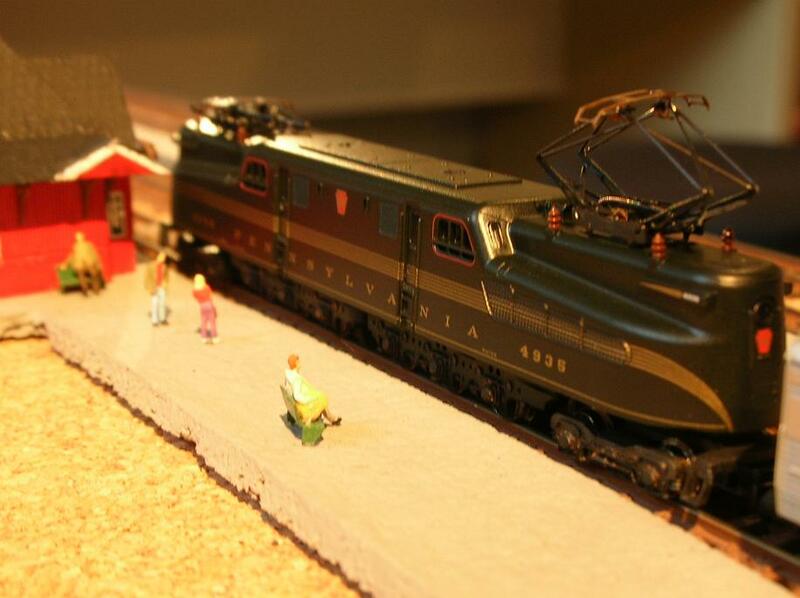 This is in my opinion the finest engine Marklin ever made! The first 2 pictures shows my new NSB el 17, it is based on a swiss re 3/4. This is a test sample of a z car with fiber optic light`s. (note: the windows is missing on this model.) 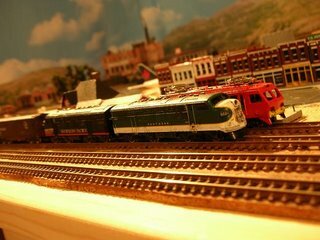 This pic shows my M.U coupled f7`s. And the el 17 under progres. You can see that i also added a quite impressive background. 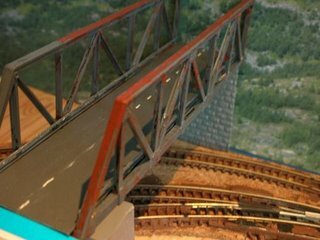 I am also planning to have a bridge over the rails, this is just a test posision. The bridge is kit-bashed from an old H0 model form Heljan. 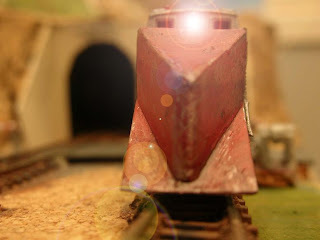 I have added the great cartoon "Toy Trunk Railroad " to my site! look at the bottom of the site!